Jess de Groot is a recent graduate of the University of Dayton (2017), where she studied Psychology and Biology. 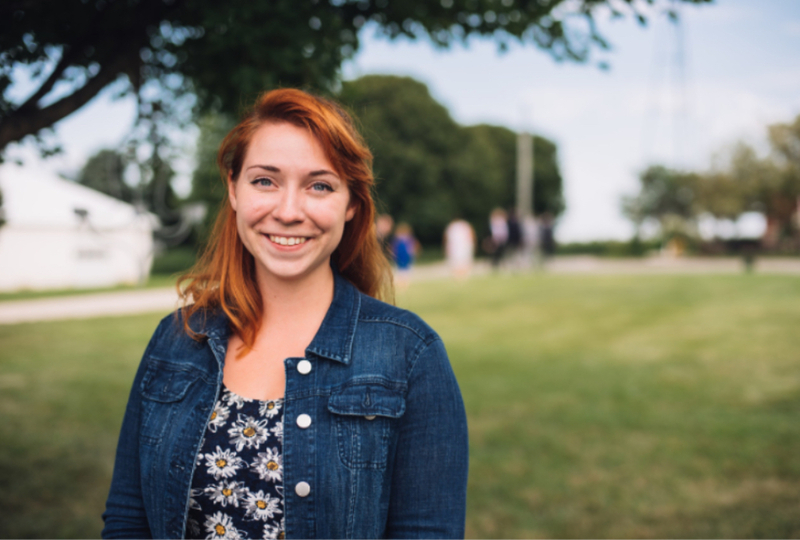 It was at UD that she felt a deepening of her faith through involvement in Campus Ministry and felt called to pursue work in Youth Ministry. After graduation, she participated in the Marianist PULSE Year of Service program, through which she worked as a full-time staff member at Victory Project, a faith-based after school program for disadvantaged youth in Dayton, and lived in financial solidarity with those whom she served. Jess is thrilled to be on staff at Saint Albert the Great as Youth Minister and truly feels this is in answer to God's calls. The youth ministry program is open to all 7th graders and up. The mission is to provide a catechesis curriculum with hands-on service projects, events, fundraisers, performances, sports, retreats and mission trips that will offer a variety of opportunities for the youth to build a Christ-centered relationship with their friends, families and the parish community. Junior High Youth Group meets every other Thursday from 5-7pm. Follow this link to join the Junior High Remind Group Message to receive weekly updates about meetings. High School youth group meets every other Sunday from 5:30-7:30pm. Follow this link to join the High School Remind Group Message to receive weekly updates about meetings. Thank you to all who helped out with the Baby Jesus Shower this past Sunday! The event was a huge success. All who attended had tons of fun and we were able to make a huge Donation to Catholic Social Services, just in time for the Christmas Season. Connor Larimer stands proudly beside the table of donations for Catholic Social Services. 8th grade RE students run a station where the younger RE kids play "The Price is Right" with different baby items.